I haven’t even written about last week. I surely don’t know where all my time goes! The Sticky Menu Plan was called into action on Sunday. We were supposed to have grilled Bacon Cheeseburger Rolls, but the rain wouldn’t give us a break. I just swapped out the stickies with Tuesday’s choice, Emily’s Chili Rellanos II, and we were good to go. The rain didn’t spoil our plans and nothing was wasted. 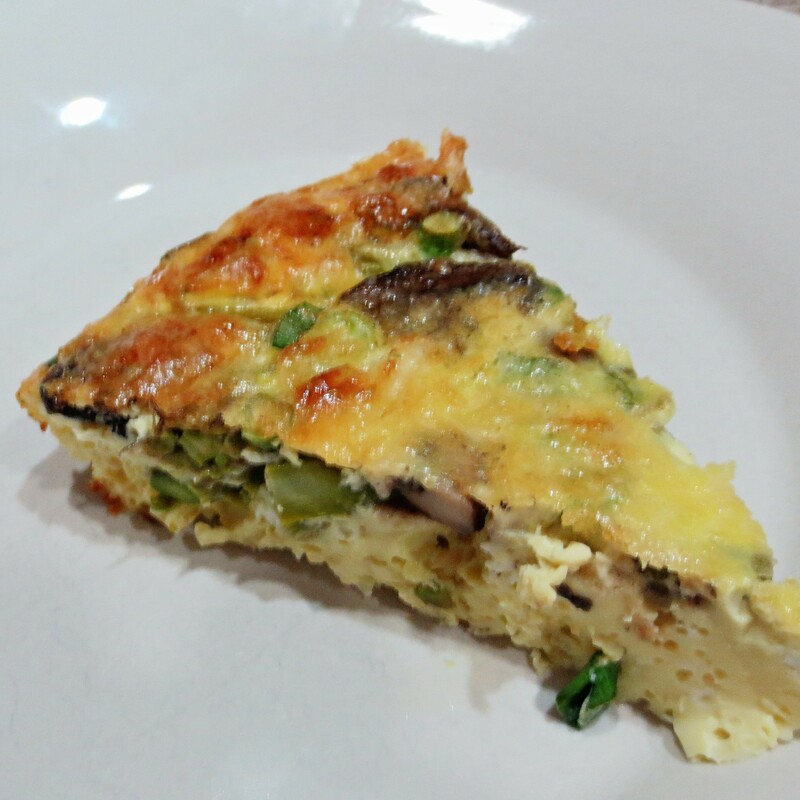 For a change, Monday actually was Meatless last week, and low-carb to boot, with an Asparagus and Mushroom Crustless Quiche. Michael was a bit skeptical when I mentioned there would be no crust, but the quiche was so flavorful the crust was barely missed. 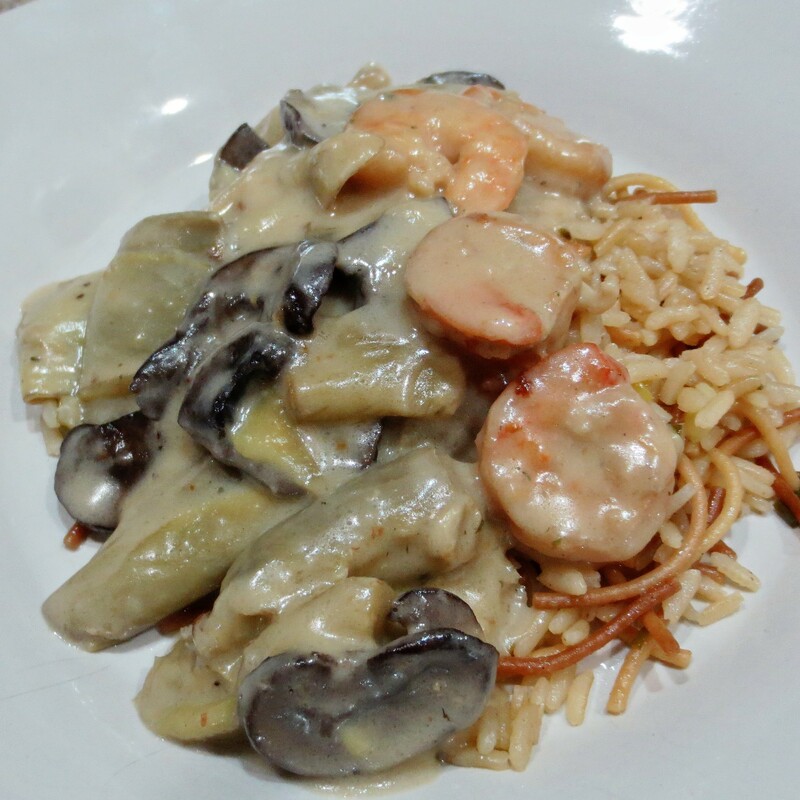 Artichoke, Shrimp, and Mushroom Casserole rounded the week out nicely on Friday night. Storms are predicted for this Friday (April Showers? ), so it looks like the tuna for grilling Spicy Tuna Steaks will stay in the freezer for another week and we will enjoy the portion of that shrimp casserole that I froze, instead. With the exception of Friday’s grilled tuna, this week went according to plan. 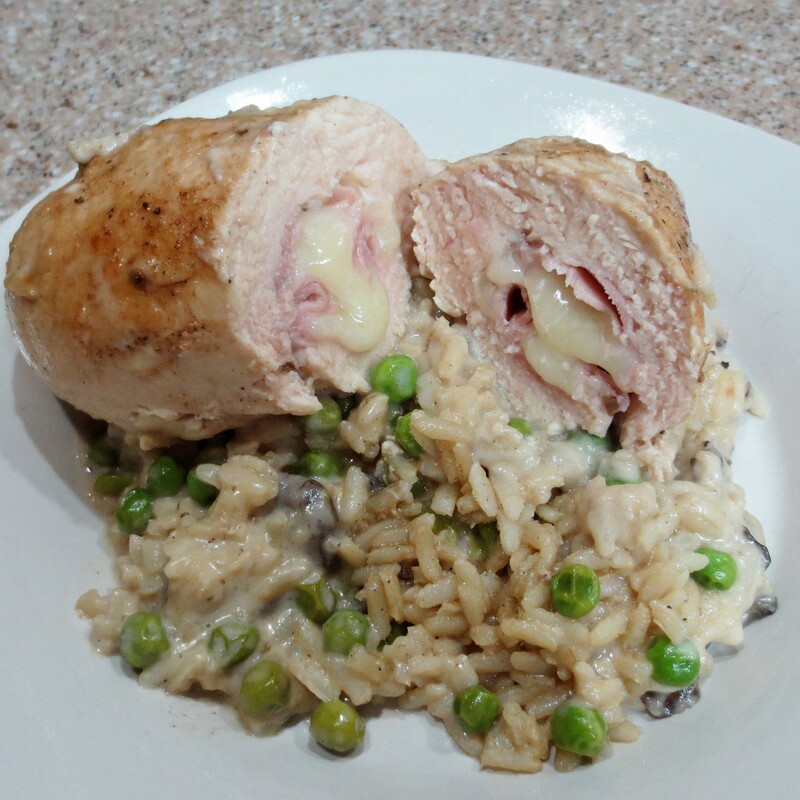 We started the week on Sunday with Baked Chicken Cordon Bleu. We do eat a lot of chicken, and while this recipe takes a little more work than most, it’s deffinitely worth the effort. Michael’s comment was “You can make this again!” and so I will. 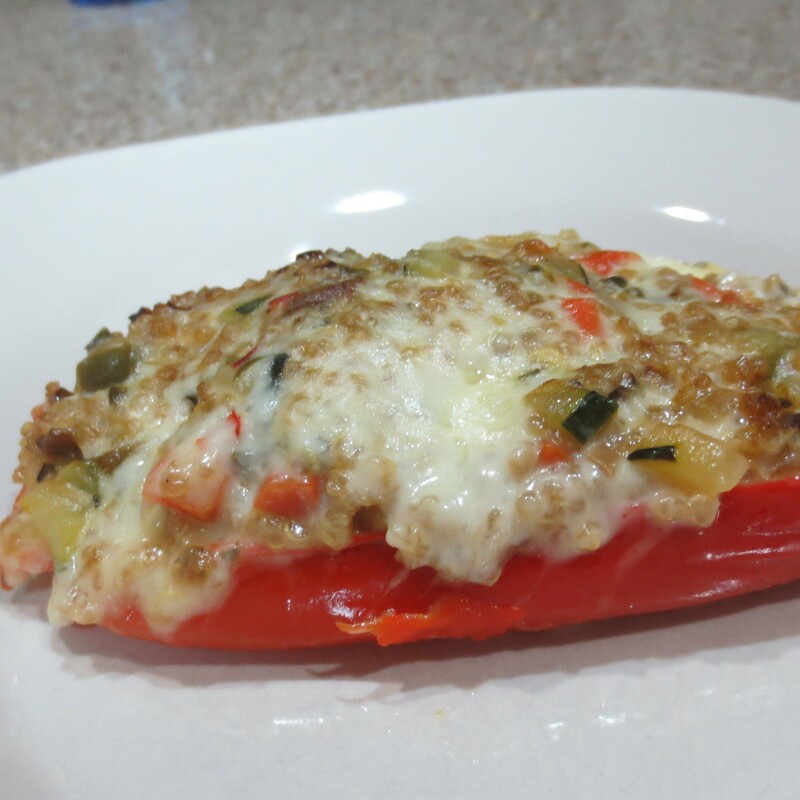 Meatless Monday was again truly meatless when I served my Quinoa Confetti Stuffed Zucchini, but with a twist. 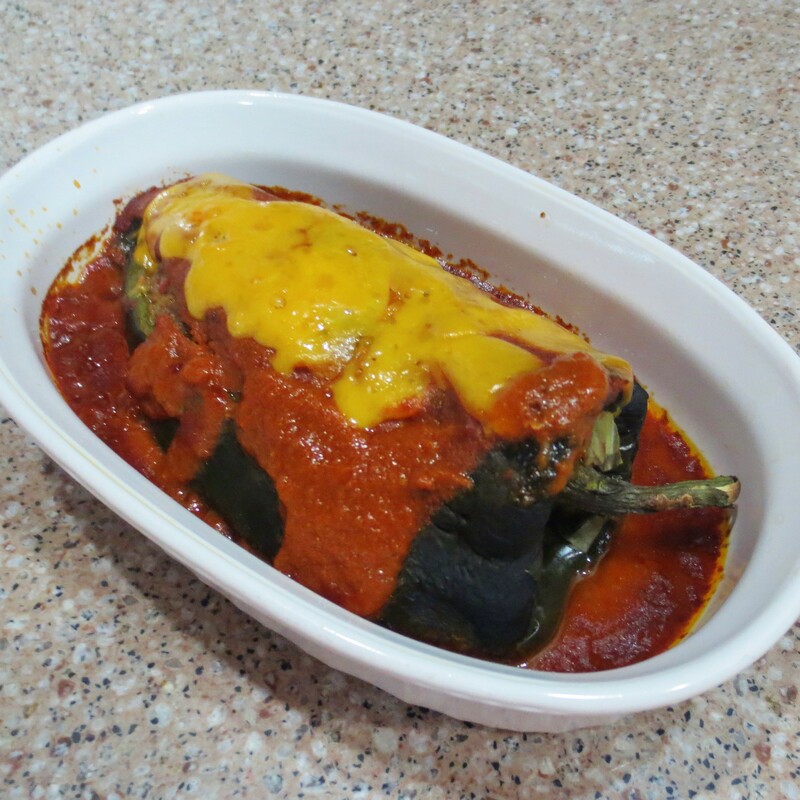 I had no zucchini in house, but I did have red bell peppers that needed to be used. I guess that quinoa stuffing is good in just about any veggie. I might try portabella mushroom caps next time. 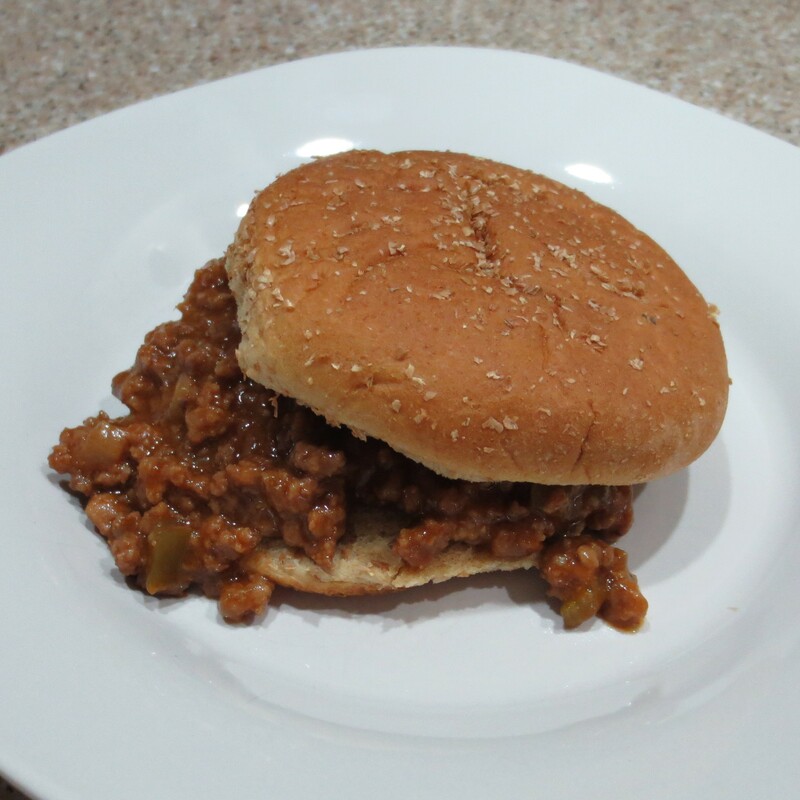 A couple of weeks ago I made a big batch of Not So Sloppy Joes. I told Michael that I would save one portion for later in the week, rather than packaging it for the big freezer. When the appointed day came those Sloppy Joes were nowhere to be found. Both of us searched all of the freezers to no avail and wound up with different freezer food. Tuesday that little container turned up in the only place we hadn’t looked. As I got out a container of frozen basil, there it was. We enjoyed them that night. 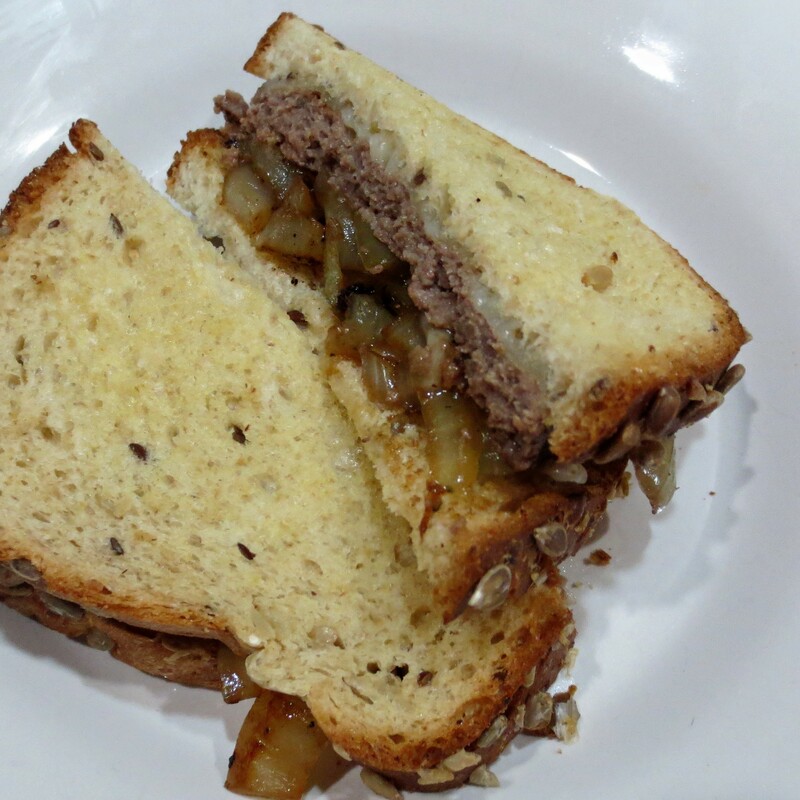 There are a number of recipes in which we enjoy carameized onions, and the last time we had Patty Melts I used up what I had. Basic Caramelized Onions can be something of a pain to make, requiring a long time of constant stirring. I decided to try to avoid all that stirring by using the slow cooker, and it worked. I did have to transfer the onions to stove top at the end, as they were too juicy. However, it didn’t take long to cook off the excess liquids and required almost no stirring. 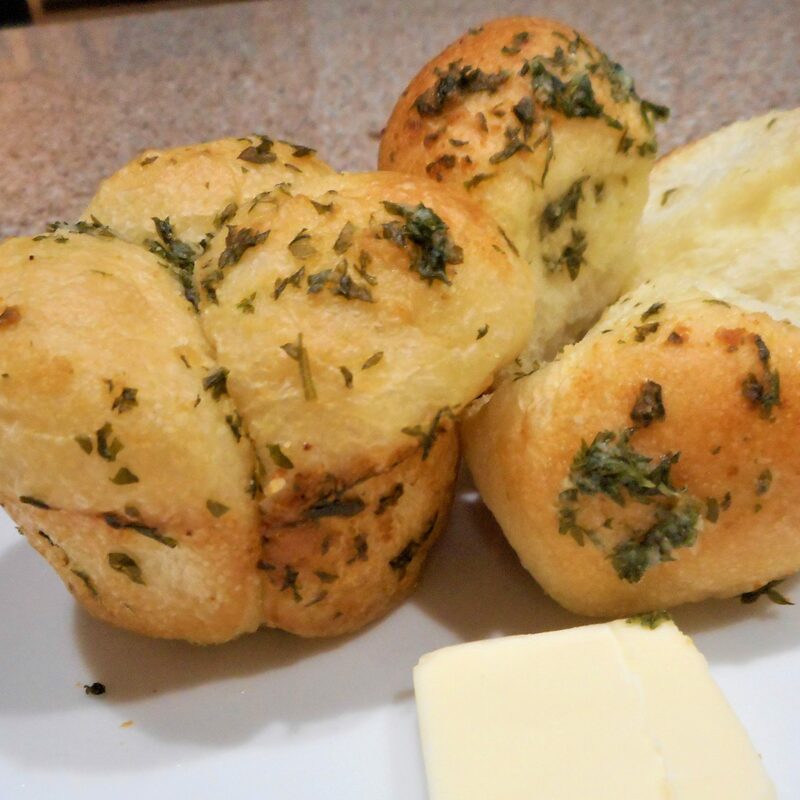 As soon as I get the recipe out of my head and into the computer I’ll post it. 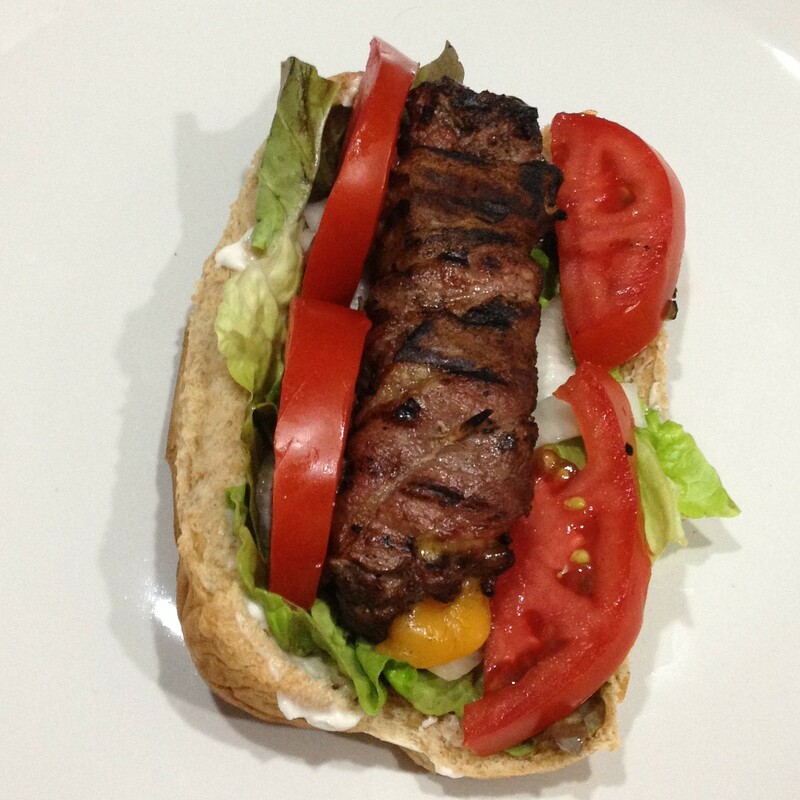 The onions were a tasty topping for our Best Beef Burgers on Wednesday night. Thursday had been labeled “Undecided”. We decided we hadn’t had a Mexican fix for a while and off we went. We have to stop doing that! Not only is eating out expensive, it’s fattening. Oh well, you only live once and you can’t be good all the time. 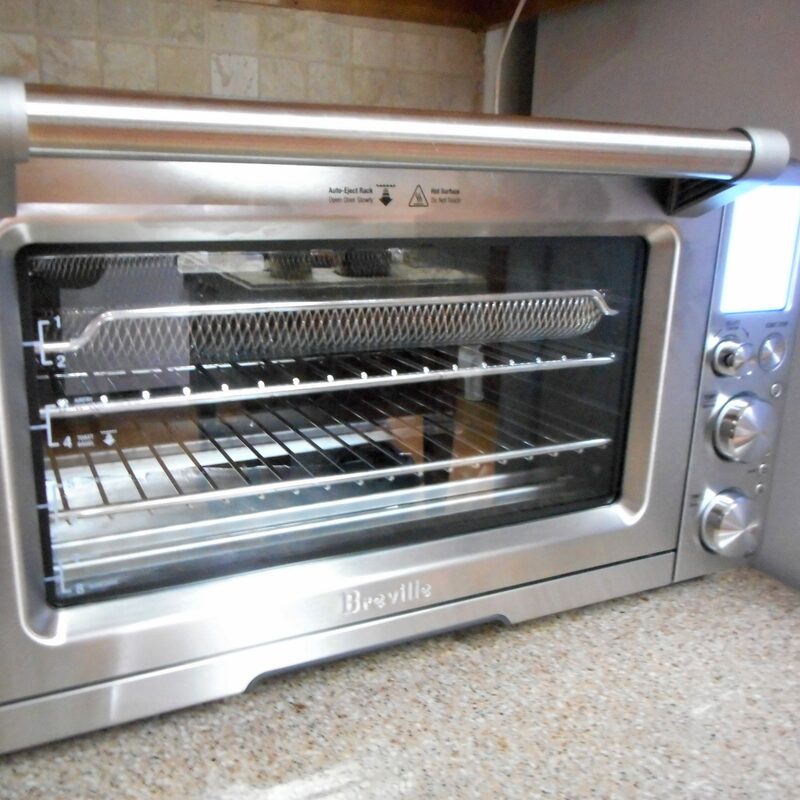 This entry was posted in Uncategorized on April 3, 2015 by lizziesmom2012.